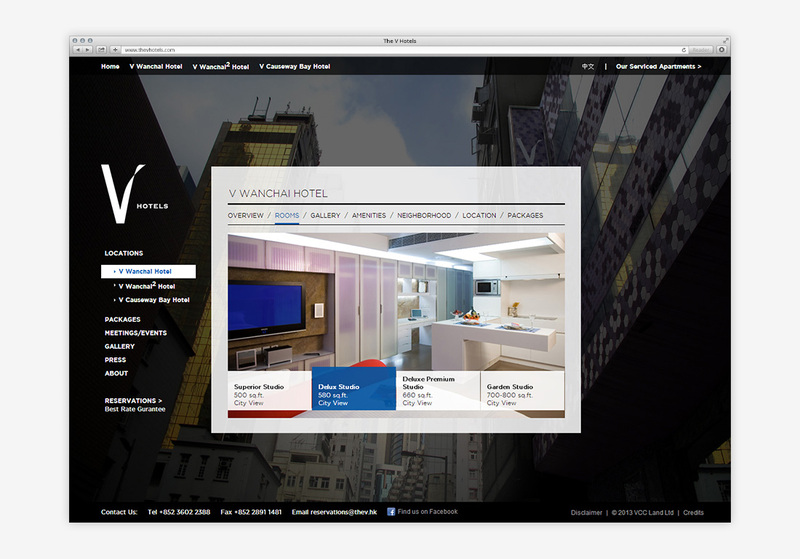 The V Hotels, owned by The V Group, operates several award-winning hotels situated in central areas of Hong Kong. 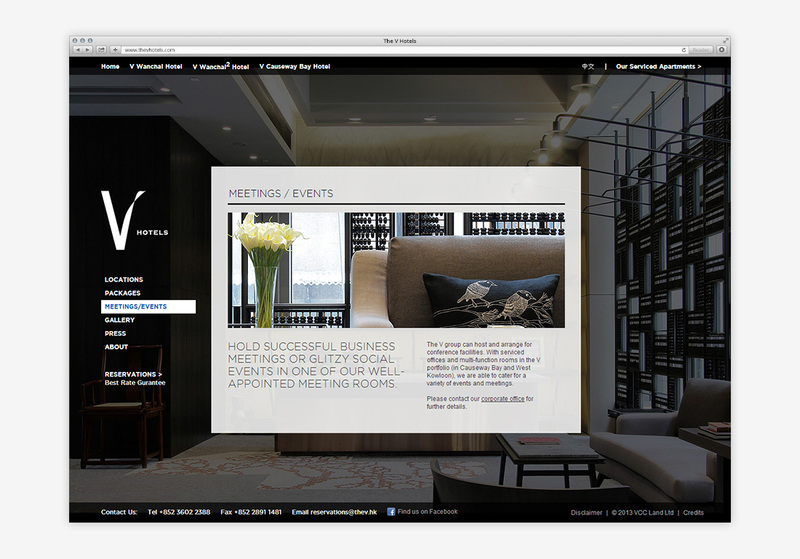 Their hotel range has received recognition for their interior design, with a hotel in Wan Chai and one in Causeway Bay. 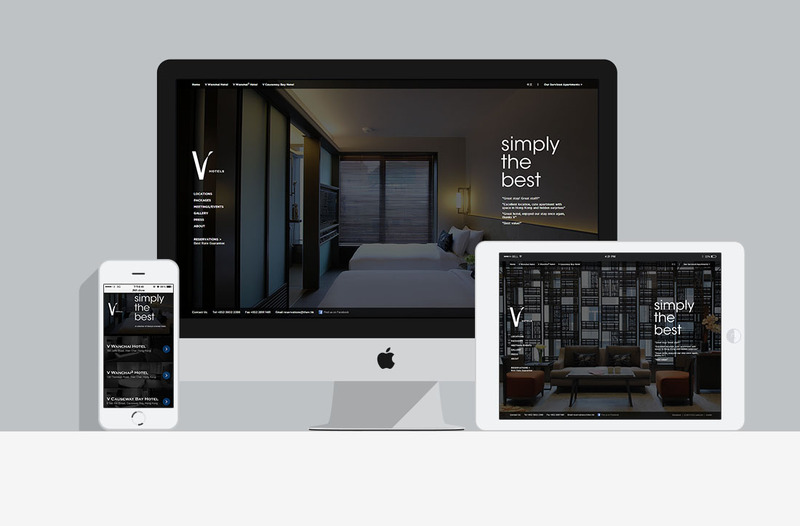 The V Group wanted a website that is representative of their outstanding interior design. 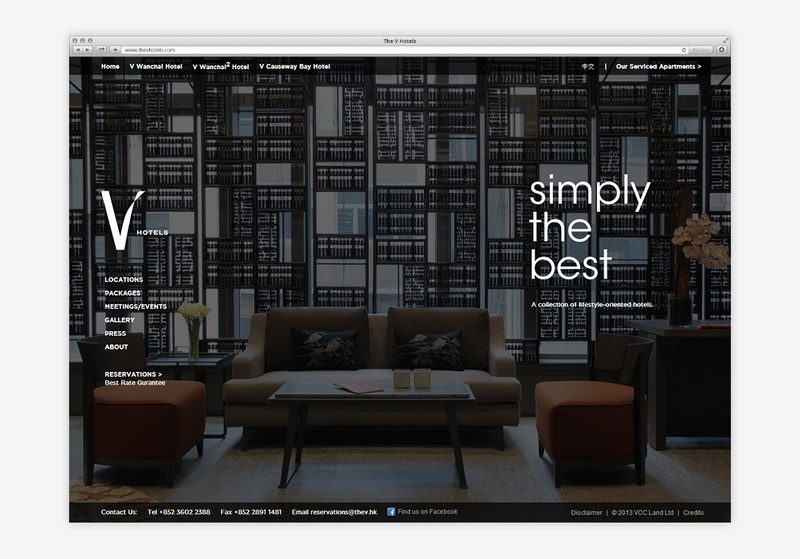 We wanted to reflect the personality of their hotels in their website and make it look just as bold and sharp, yet remain as modern and elegant. 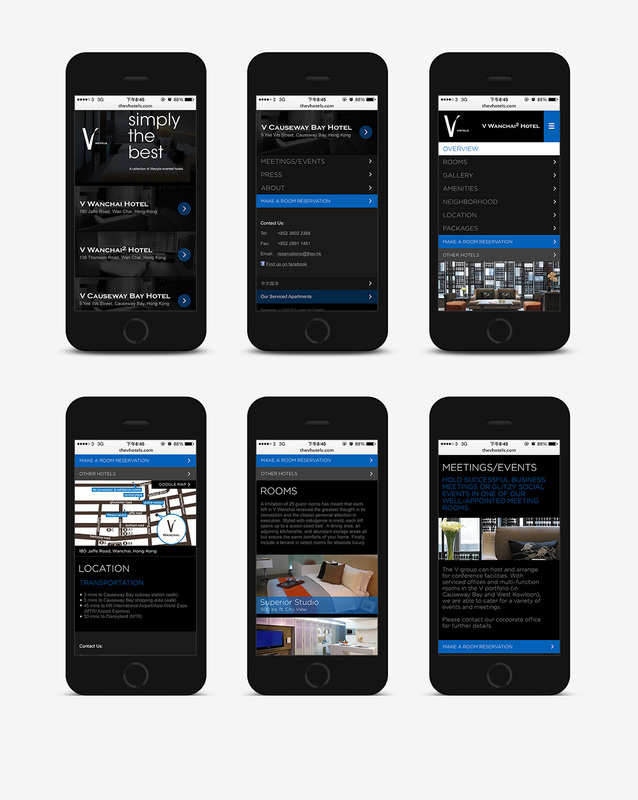 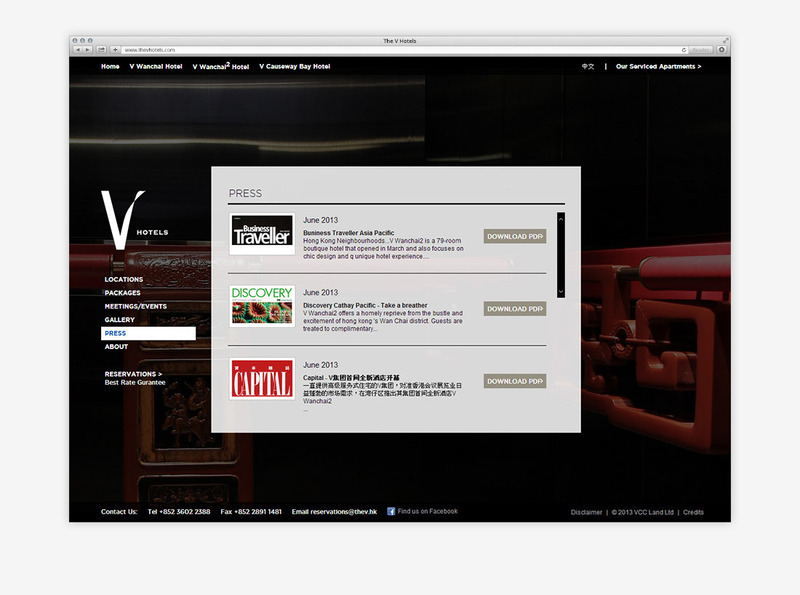 We designed the layout and wrote the content, then developed the HTML for both a desktop version and a mobile version. 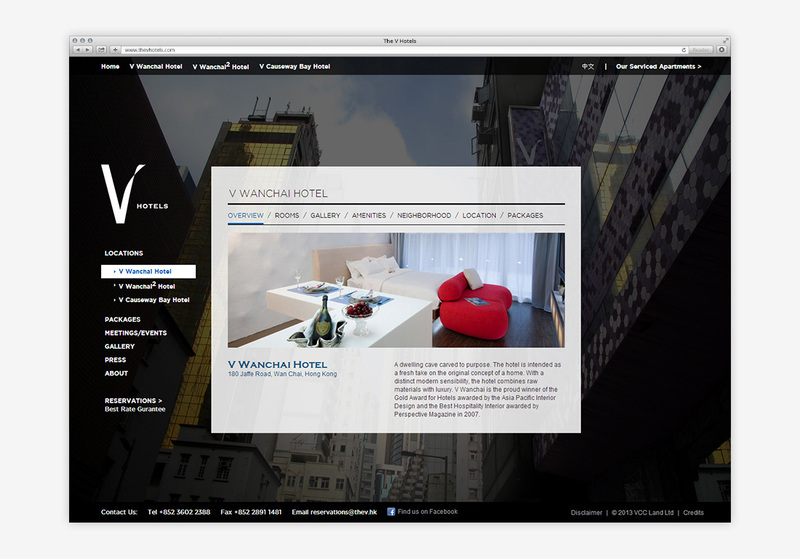 In addition, we also implemented advanced search engine optimisation (SEO) into the HTML coding as well as the URL path design. 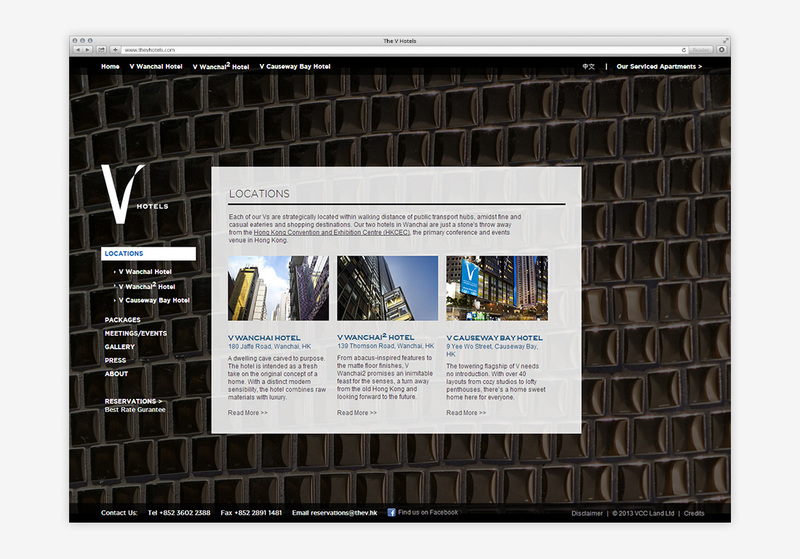 The resulting website design was highly successful and won numerous design competitions.